kind of clogged. Ideally, this means melanin is produced in high doses. Observe your body for the following symptoms to see ascertain if you have age spots. While they are common on all skin types, they are mostly prevalent in light skin. The spots that appear are tan, brown or sometimes black. Watch out for spots that will appear on the areas of your body exposed to the Sun. They usually are flat shaped. If it starts spreading increasingly. When it is accompanied by redness, itching or bleeding. If it is pigmented heavily. Around 70 percent of the population develop liver spots, over the age of 55. The excess production of melanin is the root cause of over spots and hence they are typically formed in certain parts of the body more than the others. Your shoulders, face, upper back, the back of your hands, forearms are some of the areas that are prone for liver spots. The exact reason for age spots have not been found out even by doctors, and presumably the major reason suggested is the sun exposure. The age spots you see in your legs, hands and face are a common thing during summer. Even mild exposure to the sun for a prolonged period will result in liver spots. So, what could you do about them? Not walking out in the sun is not a solution. Our office hours are typically the sunny time that you should avoid. But that is not the solution. Alternatively, what you could do is, come back home and give your skin some extra care. Here are some home remedies and treatments that you can make to treat age spots. Take a look. 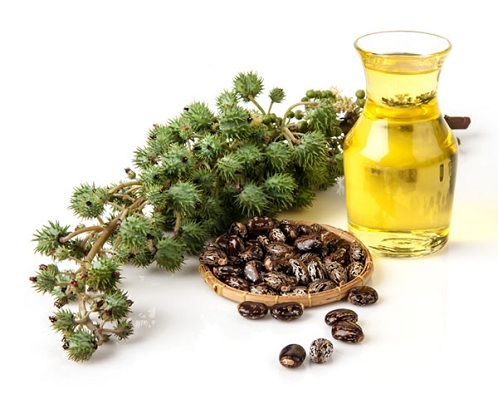 Castor oil has natural liver spots removing properties along with its healing properties. The omega 3 fatty acids in the oil help in curing pigmentation. They are also responsible for hydrating your skin, thereby ensuring you have a soft and supple skin. Here is how to use it. Apply some oil on the affected area and massage it gently for about two minutes, until it nicely is absorbed into the skin. Remember to do this twice a day and you will be able to see the results in a month. In case you have a dry skin, add few drops of coconut oil or almond oil to castor oil and then massage it on to the skin. turmeric is another safe bet for the many skin problems. 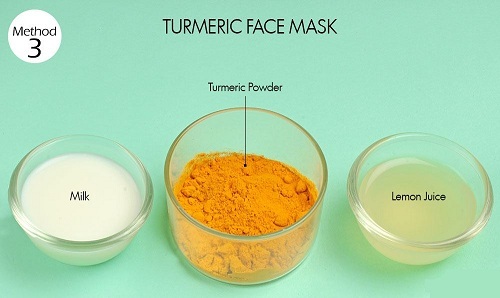 The curcumin in turmeric will help to inhibit pigmentation on your skin. 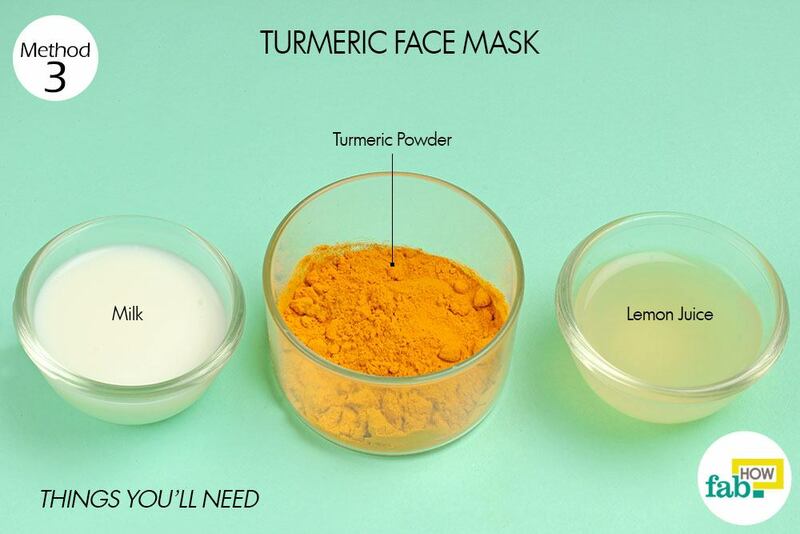 The antioxidants in turmeric combined with milk and lemon can lighten the spots and keep your skin blemish free. Lemon will clean the clogged pores and milk will lock the moisture without making your skin go dry. Here’s a power packed mask for liver spots. Take one tablespoon of turmeric powder and mix it with one tablespoon of lemon juice, in a bowl. To this, add one tablespoon of milk. Mix well. Apply the mixture on the affected area and leave it on for about 20 minutes. Once dry, wash with lukewarm water and pat dry. Use the paste every day to get rid of liver spots in probably a week. An age-old remedy for treating liver spots is tomato. 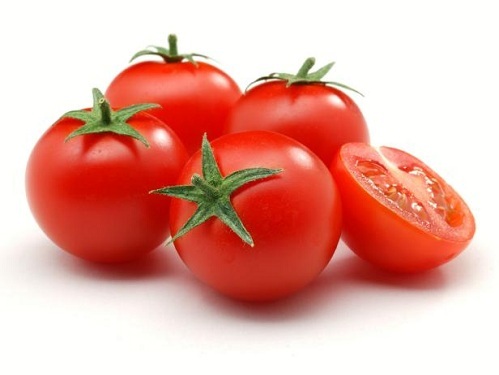 The high lycopene content is a powerful anti-oxidant that will bleach your skin. They also help to lighten the skin tone. Make this remedy at home in a series of steps. Slice up some tomatoes and massage it on to the spots. You can also make a tomato juice and apply on the spots. Leave it on for about 20 minutes and wash with cold water. Use this homemade remedy for age spots twice a day to achieve maximum results. 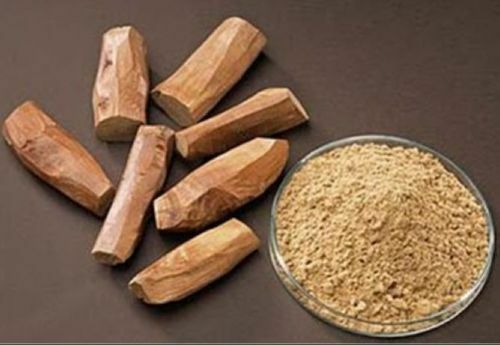 Sandalwood powder is known to fight the acne causing bacteria. It is also a natural exfoliator. It has been widely attested that sandalwood soothes sun burns, treats spots and reduces tan. They also contain a range of skin proteins and acts as an astringent, that will tighten the pores, thereby preventing breakouts and allergies. The anti-inflammatory properties soothe the burning sensation that is a result of exposure to sun and will lighten the age spots. Here’s how you can make use of it to treat liver spots. Mix the required amount of sandalwood powder with few drops of rose water, glycerine and lemon juice. The rose water will prevent your skin from being dry and lemon juice will clear the dirt from your skin. Apply the paste on the affected area and leave it on for 20 minutes and wash off with cold water. Alternatively, if you have sandalwood oil, massage this on to the area and leave it for 20 minutes and wash off with cold water. 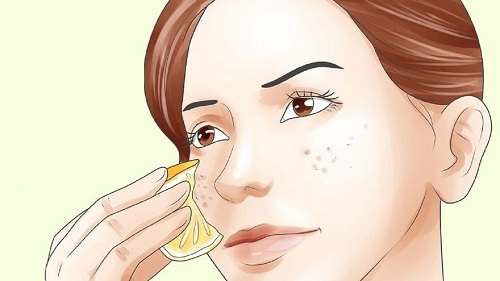 another run-to remedy for your skin worries is lemon juice. The natural bleaching properties will exfoliate the skin and will therefore reduce the spots. The vitamin C in it will fight the toxins in the skin and will thus expel them from the skin. Make use of this rich citrus fruit to get rid of the liver spots. Apply some lemon juice on to the affected area directly. Leave this for about 40 minutes, or until dry. Wash with cold water. You can also leave it on skin overnight. Here is a word of caution. In case, you are going out in the skin the following day, dilute the lemon juice with some water drops, because lemon juice is known to increase the sensitivity of the skin, under sunlight. 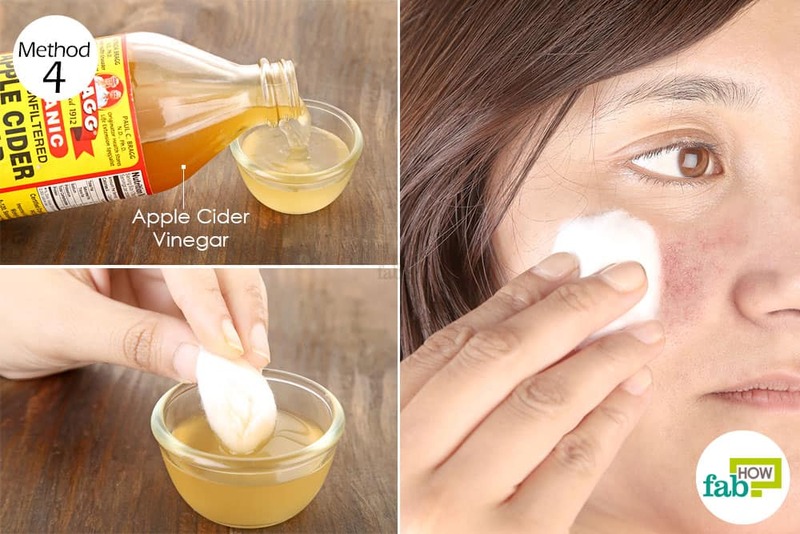 Apple cider vinegar contains alpha hydroxy acids, that are useful in treating the age spots and even the tan that you may develop on constant exposure to sun. We’ll tell you how to make use it for your benefit. 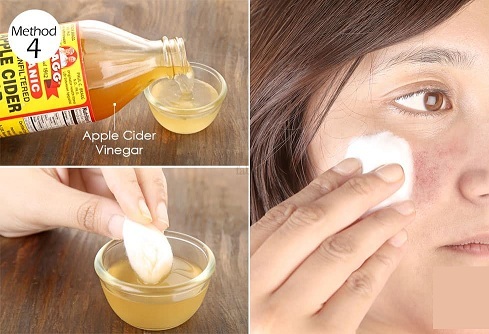 Mix apple cider vinegar with some olive oil to prevent dryness of the skin. Leave the mixture for about 20 minutes on the skin. Wash off with cold water and you will see how soft and supple your skin gets on regular use. Remember to use daily. Be cautious that you may experience a strong sting which is normal. In case, it gets unbearable, wash off immediately. did you know even onions could be your saviour? The anti-septic property of the onion juice comes from the sulfur present in it. The acids present in onion has exfoliating properties, that will lighten the skin and reduce spots. We’ll tell you how to make use of them. Cut up pieces of onion and rub it on to the affected area. Leave it on for 15 minutes and wash off dry. Do this daily, twice a day to see best results. You can add a spoon of honey to the onion juice and apply the mixture on the spots. Honey will ensure your skin radiates and becomes soft. Papaya has vitamin C in it, that will aid in reducing the dark or brown spots from your skin. The papain enzyme in it is an acne-fighter, that is known to lighten the skin tone and aids in skin renewal. 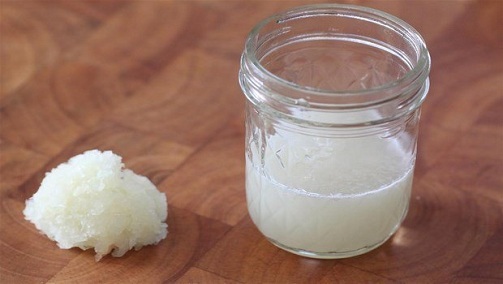 The natural moisturizer is also a natural exfoliator. Make a powerful home remedy with papaya for liver spots in simple steps. Cut papaya to pieces and mash it well with a fork. Apply this paste on the affected area and leave it for 30 minutes. Do this daily. 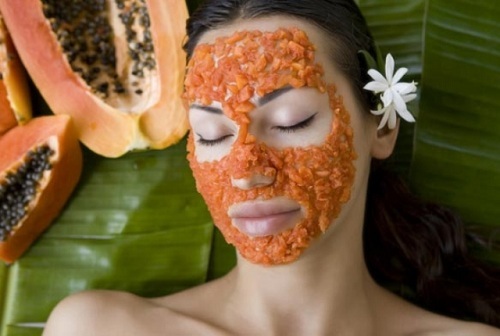 It is also advisable to do a patch test on your skin to check if your skin is compatible with papaya. While there are no scientific reasons to show aloe vera helps in curing spots, users have highly rated aloe vera as the best way to remove liver spots. 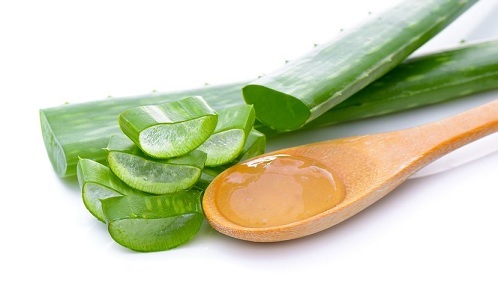 Aloe vera will restore the sheen of the skin naturally and will fasten the sun burn healing process. It is cool on the face and thus provides relief. Simply take the gel out of aloe vera pith. Rub it well on the affected area. Leave it for 30 minutes or until it dries. Wash off with cool water. Do this daily, once a day to see best results. Apart from the many home remedies to cure liver spots, there are also others ways of curing them. Take a look at the top 5 scientifically tested methods. 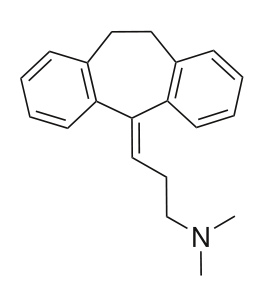 These are prescribed when the symptoms are severe and get a doctor’s advise before you step out to decide. Laser: Peeling or laser is one way to get rid of dark spots. The Broad Band Light strategy will concentrate on the excess brown pigment and the red pigment on the skin. They help to reduce the spots significantly, although they tend to come back after a period of time. Sunblock and other home remedies are essential follow up to effectively prevent them. Book an appointment with your doctor and see of you will need one for your skin and how it effective it is going to be. 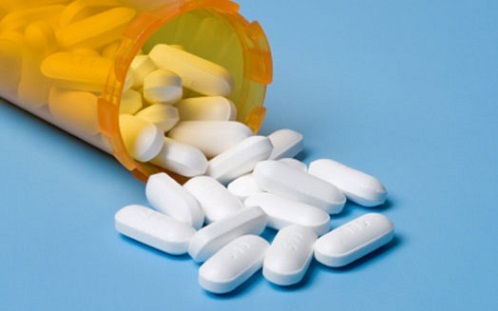 Pills and Creams: For a serious fading action, you can ask your dermatologist for tablets or creams that you can use. There are also creams that contains hydroquinone which is a bleaching agent, that will lighten the skin spots and result in a reduced pigmentation the spots. However, remember to consult your dermatologist to make sure you are making the right choice. Wrong choice of creams could have serious implications on your skin. Sunscreens: Do not underestimate the power of sunscreens. They are an absolute must to get rid of those liver spots from your face. 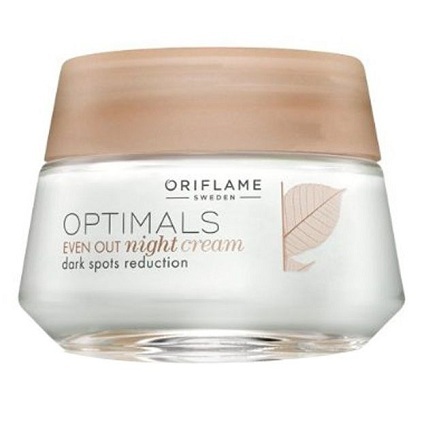 Go through the ingredients and see that the cream has titanium and zinc, that are powerful blockers. These are also more effective sun blockers than the many chemical ones. Make a comparison and browse through the catalogue of many sun screens to make the best choice. Serums: Serums are another best way to prevent liver spots appearing on your face. Serums that are specifically designed for reducing dark spots, help in lightening the dark spots, along with age spots. They have also been helpful in getting rid of the traces of your previous acne. Try out serums after you apply your sun screen. 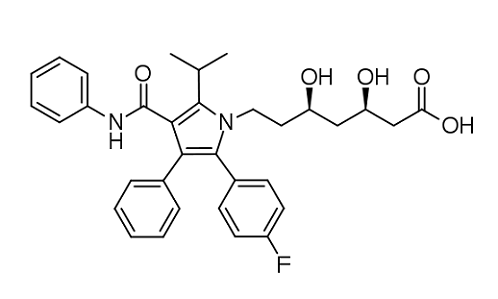 The process gets complete with the application of serum. Vitamin C: The powerful anti-oxidant property in vitamin C will help to even out your skin’s complexion. Vitamin C is accredited as a natural skin toner and will ensure you have a glowing skin. Upon continuous use, it will ensure you have a brighter skin and a radiant one. sure to always consult a doctor. The silky texture of the cream is a quick absorbent into the skin and will effectively be absorbed in to the skin. It also builds a protective barrier on the hand. That will help lock the moisture. The skin gets tighter and becomes firm. The essential hand nutrients such as jojoba seed, wheat germ, virgin plum, macadamia work together to give the right texture to your skin, by way of reducing the spots and lightening them. Use regularly for best results, by leaving the application on skin overnight. 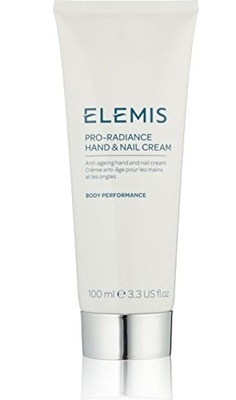 The cream has anti-aging properties and is another hand cream for age spots. The SPF 25 on the outside, with its concentrated mixture is easily absorbed in the skin. 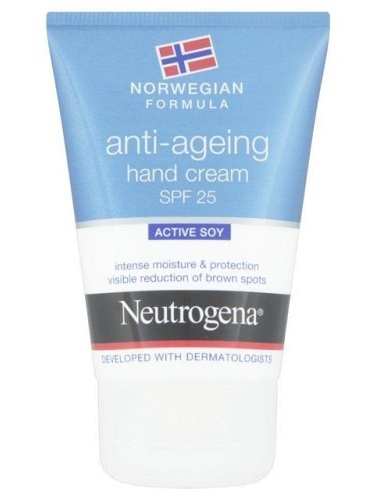 The active soy in the product will help reduce the brown spots you may develop on your hands, with time. The skin will feel soft and supple. For best results, use daily before retiring to bed. The brown spots will reduce considerably. The skin has nutrients that are needed for restoring the skin to its natural radiance. It is made of 80%of snail cream and around 20% of it will ensure your skin stays hydrated and thereby prevent dryness of the skin. The cream is intended for the face and is also sensitive to the needs of the face. Age spots, sun spots are effectively treated with this cream. The slimy secretion of the snail is effective in protecting the skin and skin restoration. Orirflame is known for their promise in delivering what they claim. 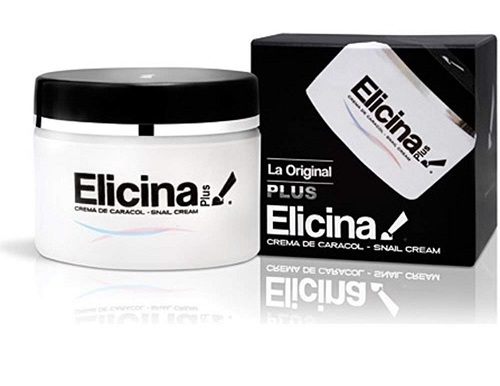 The cream is easily absorbed in to the skin and will nourish the skin and reduces age spots or dark spots on the skin. It is also known to neutralize the effect of sun exposure that your skin prone to, by treating the adverse effects it produces. Your skin will feel fresh and radiant like before. However, a daily use is recommended to see the changes and can be used at night and washed in the morning. Here is an ayurvedic product that you can try for the liver spots. 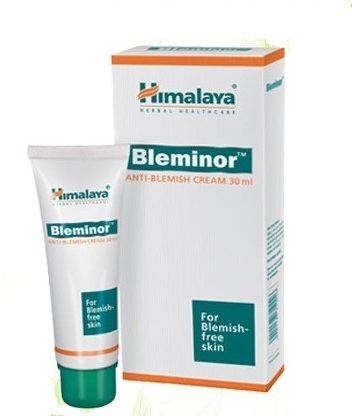 This anti-blemish cream is budget friendly and has a pleasant odour. The light formula will ensure it is absorbed well in to the skin and keeps your skin hydrated. The cream also has anti-oxidant properties that will tackle the skin damage. Use regularly for visible changes. 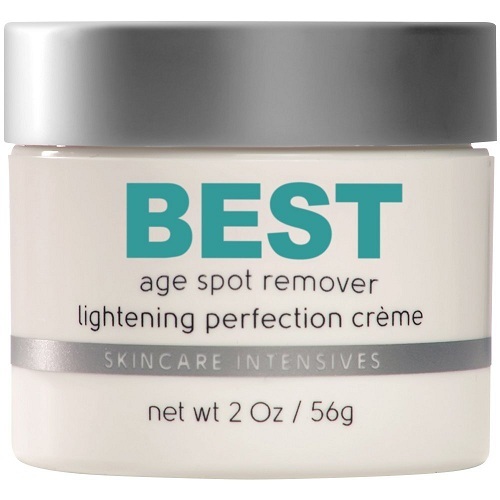 Wondering a best cream for age spot reduction on your legs? Here is the one! The product contains aloe Vera, lavender oil, rose water and grape that all work effectively to generate best results. They can be used on your legs, face and hand to reduce the liver spots. Try a small patch test on your arm to check if you are sensitive to the product. Use daily for best results. Age spots or liver spots should no more be your worry. With the various home remedies and scientific ways available, fading them out is no more a worry. Be sure that the home remedies are safe and best results are seen only upon regular use. While hyper pigmentation or liver spots are not dangerous, it is neither harmful to get them off your skin. Take your key to a healthy skin from our attested remedies! Images Source: 2, 5, 6.